Delta Force supplies the latest in custom-designed paintball body armour to all players entirely free of charge, allowing you to enjoy your day in complete comfort and safety. Delta Force commissioned the design and manufacture of the body armour. The ‘suit’ comprises of multiple rigid plastic plates contained within a flexible skin. The protective plates and flexible skin are completely ventilated to avoid a build up of body heat. This essential piece of new equipment now gives confidence to those who were too shy to previously play paintball. Play with confidence and comfort, play with Delta Force! 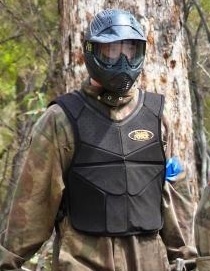 Q: Why doesn’t every paintball operator use body armour? A: This body armour is a Delta Force initiative. We take your safety and comfort seriously, and have introduced this piece of equipment to enable more people the opportunity to play the sport of paintball. Many small operators simply cannot afford to make the investment. Q: Who should wear the body armour? 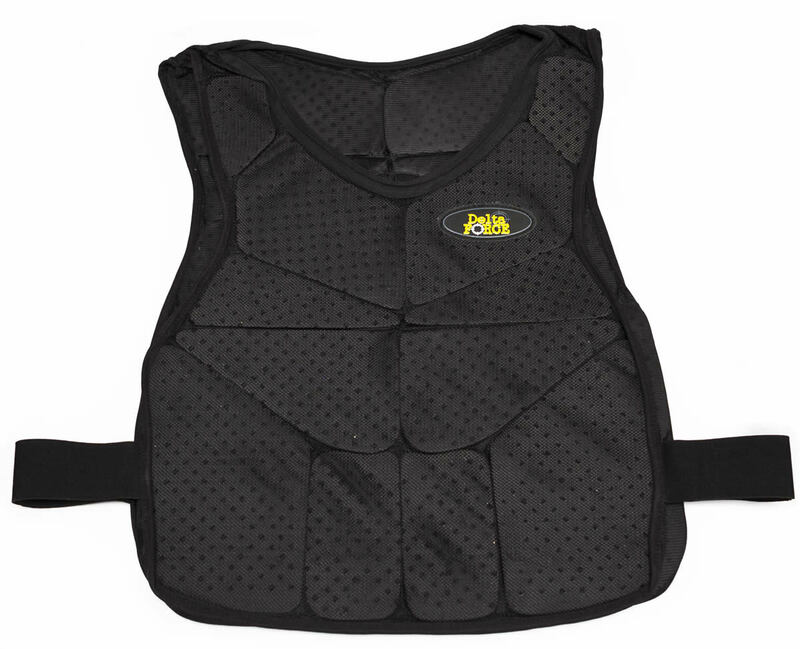 A: The body armour eliminates those potentially painful upper torso hits, and it is a popular piece of equipment for our female players.